I wasn’t planning on writing a post this early. 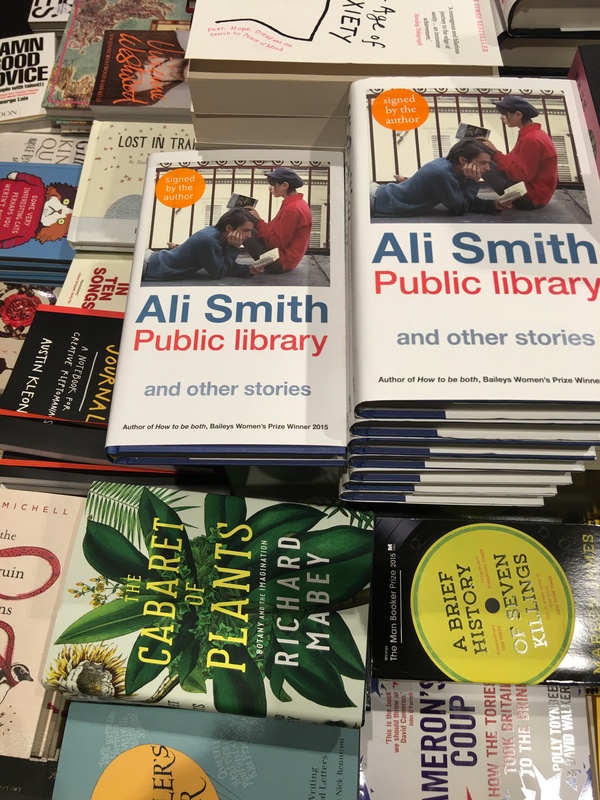 In fact I’m still overjoyed that I met Ali Smith. She’s brilliant and really lovely too. I almost didn’t make it to the event. At 17:00 I was stuck in a cab on Jamaica Road telling my driver that I rearranged my entire trip just to come to this event. He becomes quite determined and begins backing up and turns left then the driver takes an alternate route that leads us off Jamaica Road. I’m not familiar with South East London, but we traveled down a number of different streets just to go around the traffic jam. When we finally reach the venue, my fare is £59 and he tells me to just forget it, to go inside and get my book signed. He’s the kindest cab driver in the world. So I went in late, but it was a fantastic evening. I would do it all over again even if there were only ten minutes of discussion, although it was much longer. Smith discussed her new collection of stories and who influenced them. There were readings from her book. If you’re local, try to get to King’s College London: Inventing the modern novel on November 9, 2015 (18:30-20:00). Ali Smith is thoughtful and engaging with her audience. I’d love to be able to hear how modernist literature has influenced her work, such as James Joyce and Virginia Woolf. She’s truly remarkable. I can’t wait to start reading Public Library and other stories.